This is funny. I love the expression on the camel's face. Even he looks hot. Great capture! Looks like he's sticking his tongue out at you!! @happypat Oh I think we had a 2 hump camel and the ride was pretty smooth. Very peaceful too, out in the desert. Peter chickened out and rode in the cart! What a wonderful adventure you're having! Super shot. @busylady Ha ha tell him he’s a wimp from me!! That camel is definitely smiling for the camera! I hope you are enjoying your trip! Isn't he a beauty. 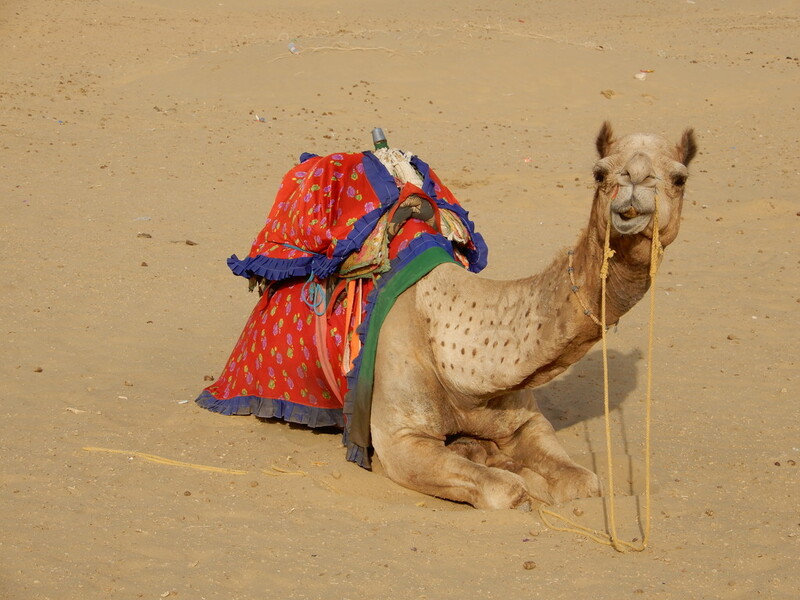 We have camel rides in the dunes here, but riding a camel in Rajasthan would be a fabulous experience. Lovely capture enjoy your holiday. Your nicely timed shot has caught a great expression. Super shot of this fellow! A not so handsome fella, nice capture! What a fantastic trip you are having!